FANBOY PLANET.com . : Witchblade Ends; Switch Begins :. Image Comics sent two Top Cow press releases a day apart, but it's obvious that they're connected, and say something about the changing face of the comics industry. 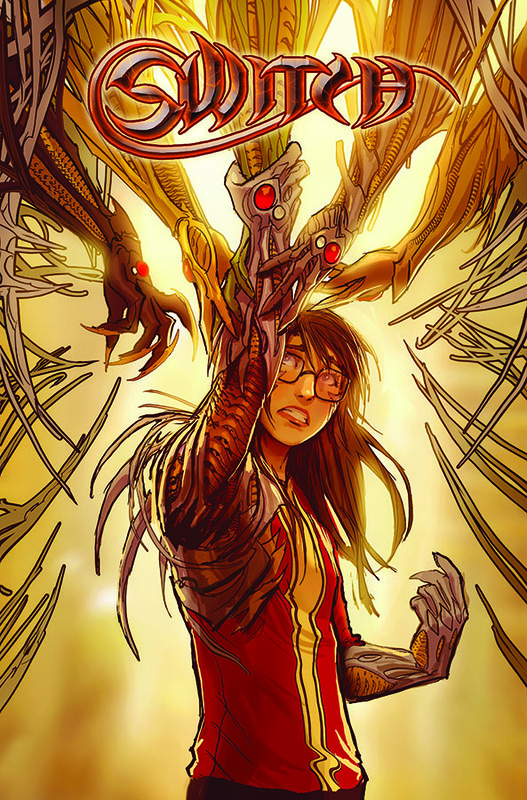 First, we received information about the upcoming book "Switch," described as a re-imagining of the classic Witchblade story. It caught my attention because of the creator, Stjepan Sejic, whose book Death Vigil really impressed me last year. Apparently, Switch has been running as a web-comic for some time -- and that shows how slow I've been to adapt web-comic reading on a regular basis. I almost always wait for the print edition. But it's also the content here that's interesting. In a time when diversity and inclusion has become a hot topic in comics, both in characters on the page and creators behind the scenes, this essentially means that one of the most successful of the "bad girl" craze of the 90s has gotten a redo into something far more accessible for 2015. A bit of New 52 Batgirl? That's interesting, considering that DC's revamp of the character (long after the New 52 relaunch) last year infected the rest of their line, too. Regardless, it's a sensible revamp that could bring a lot of new readers to Top Cow. Image/Top Cow is also pleased to release a deluxe WITCHBLADE 20TH ANNIVERSARY “ART OF” hardcover. This special, over-sized WITCHBLADE hardcover will be a veritable who’s-who of comic artists with original content not previously seen in THE ART OF WITCHBLADE. It can be pre-ordered using Diamond Code AUG150570, will hit shelves on October 28th, will be limited to 1,000 copies, and will never be reprinted. So the timing is good. Top Cow will bring the original Witchblade to a close on a good anniversary, followed about a month later by a relaunch aimed at the teen daughters of the original readers of the book. It has a really nice symmetry. But will readers make the switch from the web-comic to the printed page? And will Switched carry the standard for Top Cow into the next era? As always, we vote with our dollars. All I know is that Sejic is an interesting cartoonist -- and I really like that Sejic gets that creator billing. We need that word reclaimed with honor, to acknowledge those who merge writing and drawing into one terrific package. I think Howard Chaykin would be proud.